Galloping Gargoyles! Harry Potter fans, brace yourself and call Gringotts Bank immediately. Why? 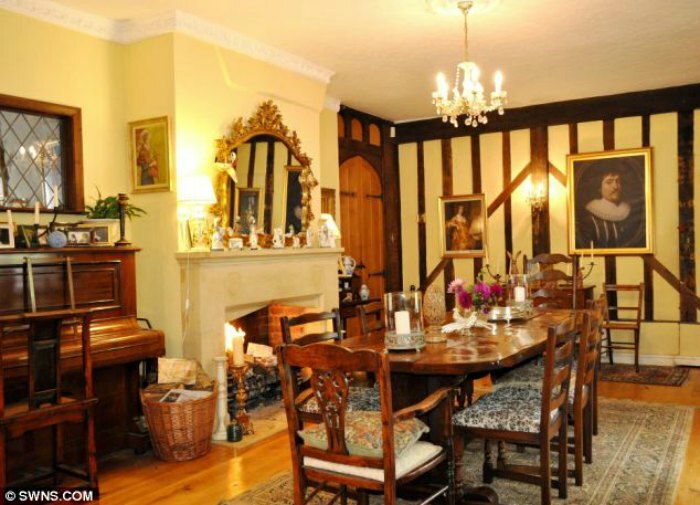 Because James, Lily and Harry’s family home is up for sale. No, we’re not yanking your wand. 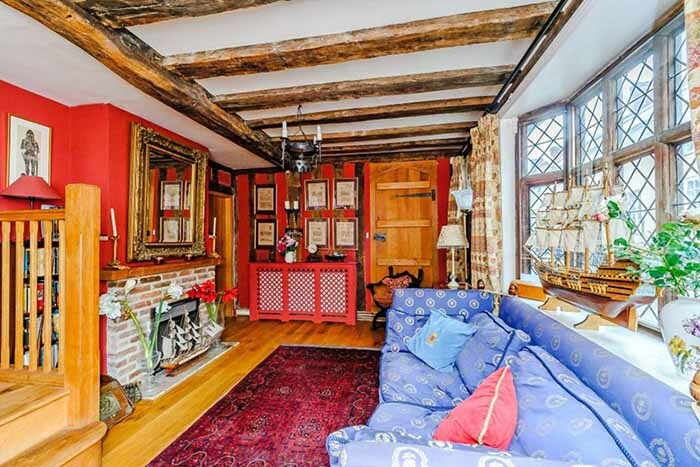 The 500-year-old cottage, which appeared in Harry Potter and The Deathly Hallows Part One, is currently on the market for a cool £995,000 (that’s a whistle-worthy AU$1.6 million). 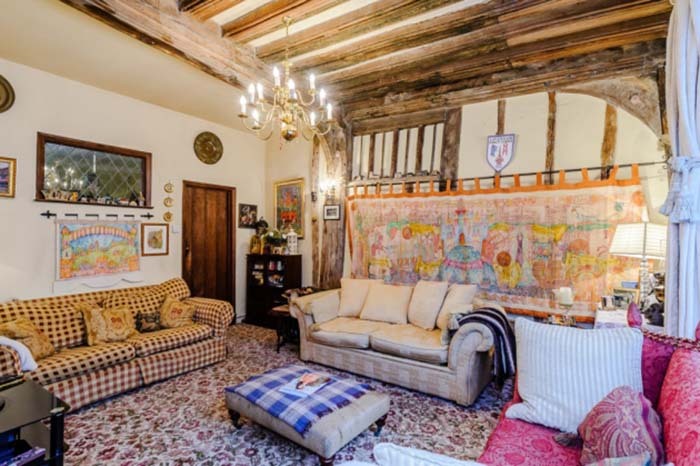 So what does a 14th century English cottage look like inside? Grab your wizarding wand and come take a tour with us. The six-bedroom and four-bathroom home, in the West Suffolk village of Lavenham, is a bit of a local celebrity, even without the Harry Potter house association. 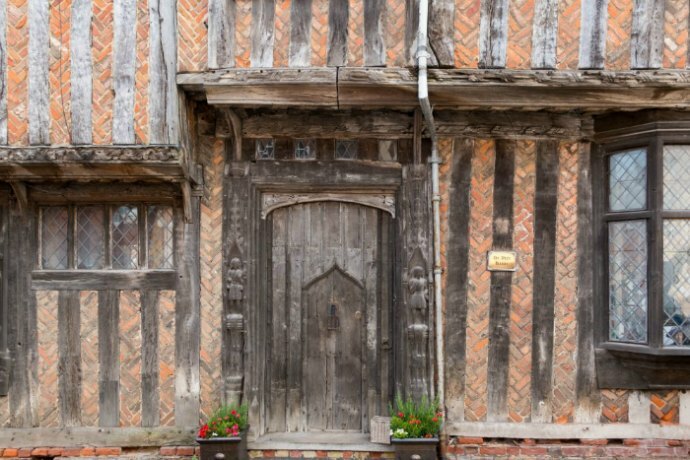 Dating back to to the 1500s, De Vere House is one of the most perfectly preserved examples of historic Medieval and Tudor architecture. 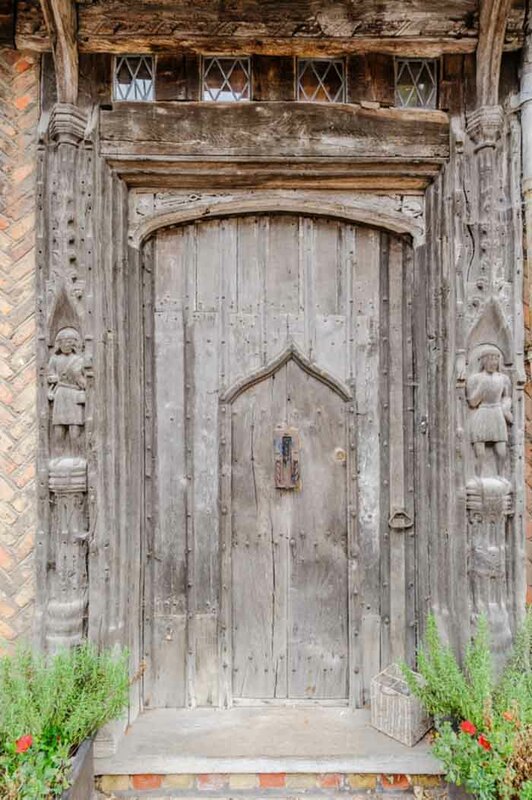 Belonging to a real life Earl (John De Vere, the 13th Earl of Oxford), it’s likely that it hosted royalty (though no word on whether they were from wizarding stock or just garden variety Muggles). 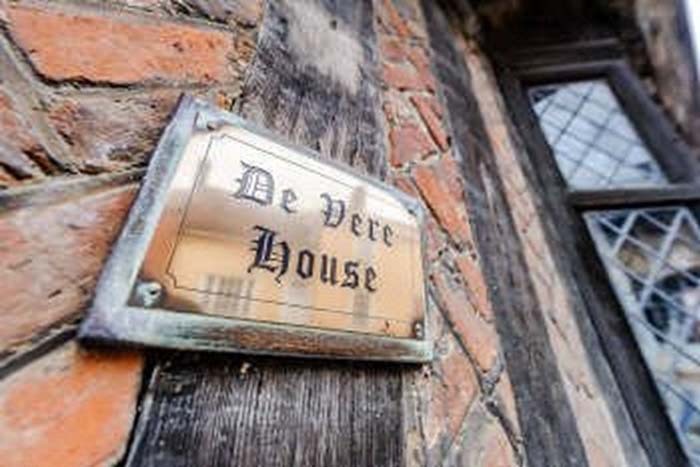 In one of those weirdly eccentric ‘English’ things, the front door of De Vere House has actually become one of the most photographed in the country. It’s officially second only to 10 Downing Street, the English Prime Minster’s official digs. 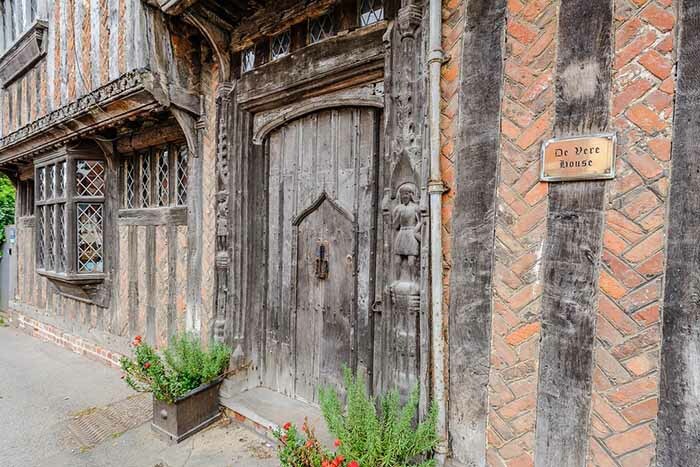 While front doors are universally thrilling (apparently), it’s the association De Vere House has with everybody’s favourite wizard that really gets the magical juices flowing. 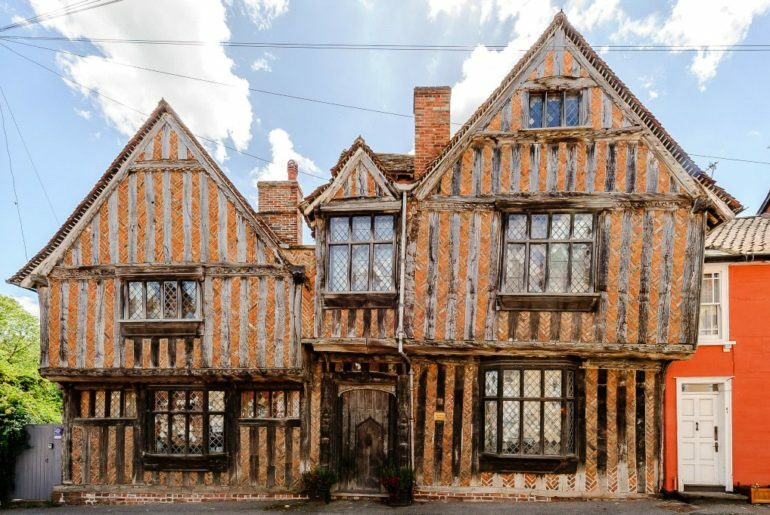 Footage and stills of the house were actually used to create the entire fictional village of Godric’s Hollow, where Harry spent his first year. Jane and Tony Ranzetta, who currently own the property, were able to witness the magic (of film) when the Harry Potter crew rolled up. “It was really quite extraordinary watching both the filming and then the end result on screen,” Tony recalled to The House Of Vere website. The scenes of Harry as a youngster, and those where Harry’s parents were ‘Avada Kedavra’d’ by ol’ Voldermort, were filmed using the house as a backdrop, firmly cementing it in Potter history. De Vere House isn’t the first piece of HP real estate to hit the market. 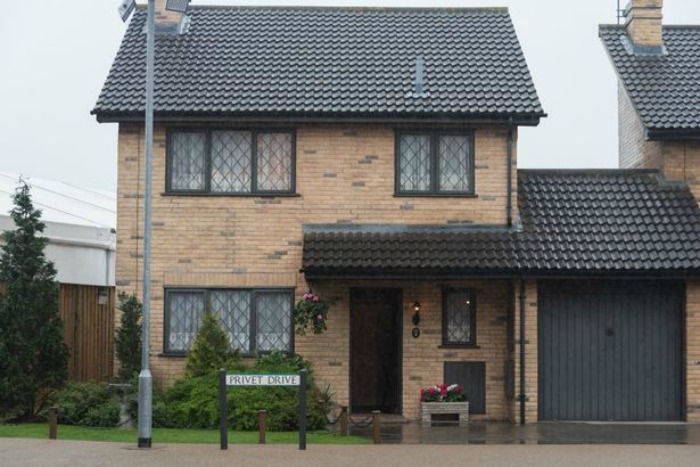 Number 4 Privet Drive (pictured below), where Harry spent his childhood with the dreaded Dursleys, went up for sale last year. The house listing focused more on its public transport links and extensive garden than its magical past (a mistake in our book). 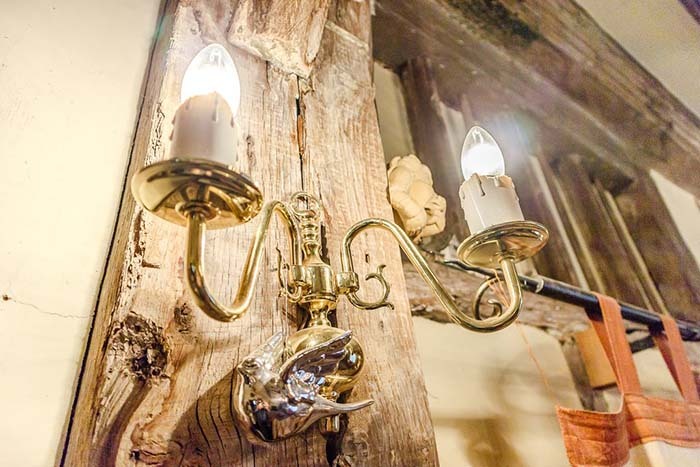 Love the Harry Potter house, but don’t have the cash to splash? Better go check your bookshelf in case you’re the lucky owner of this Harry Potter misprint book that’s now worth a small fortune!